Studying the Bible shouldn’t be hard. 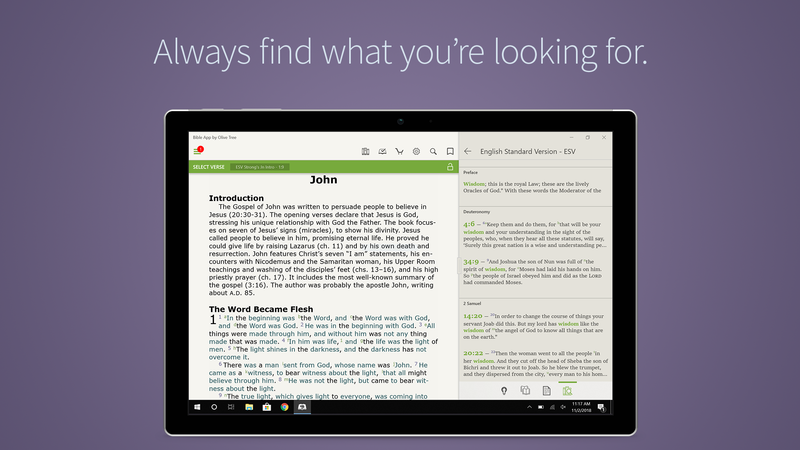 Olive Tree Bible App for Windows equips you with easy-to-use Bible study tools and resources so you can stop skimming Scripture and get answers—for free. 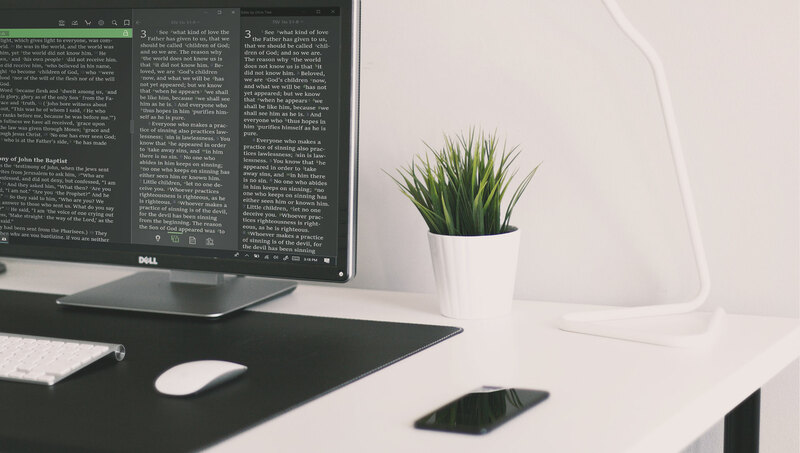 That’s right, you don’t need a wifi connection (or any Internet connection) to access your Bible (and all the other tools!). You could be in the middle of the Amazon or on top of Mt. Everest. 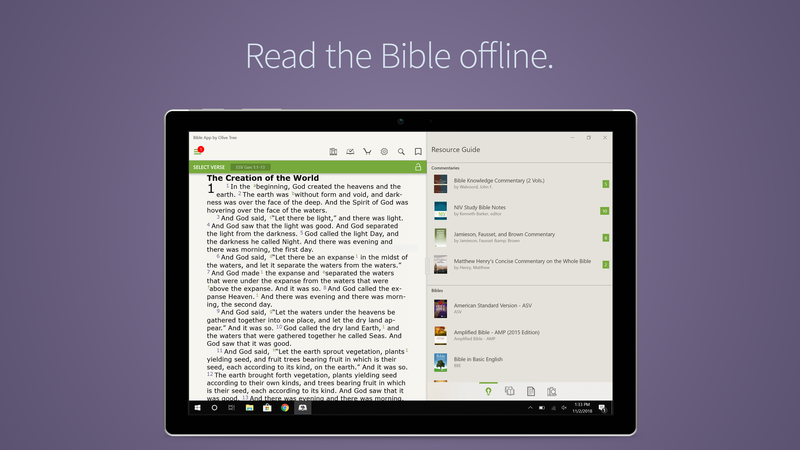 If your phone is working, so is your offline Bible app. God has been speaking to His people, through His people, for thousands of years… and that takes some research to understand! This is why we provide 1000s of resources to help you go deeper into God’s Word—because studying the Holy Bible shouldn’t be hard. Not only do we implement unique features into our app, but we do it with style. Our favorite is the split-screen window: The Study Center. 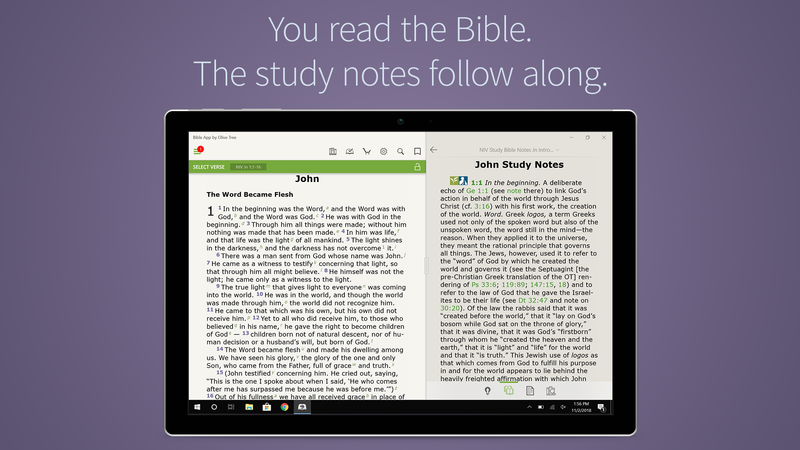 You can use the Resource Guide tab to access any of the resources available in our app and read them right alongside the Bible of your choice. It even does all the hard work of tracking with you, verse by verse. 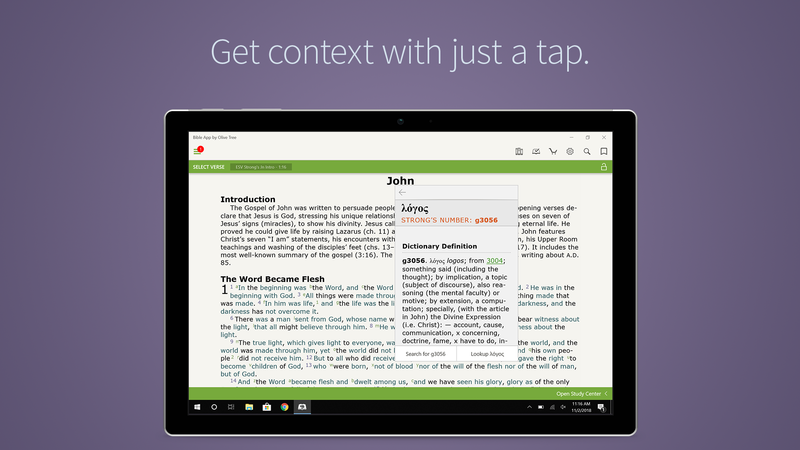 Studying the Bible just became the easiest it has ever been. Want more highlighter options? That’s fine! Pick your own color, thickness, and change it to underline instead. Have trouble reading small print? Increase the font size. Reading at night? Change the theme to be easier on your eyes. Best part? 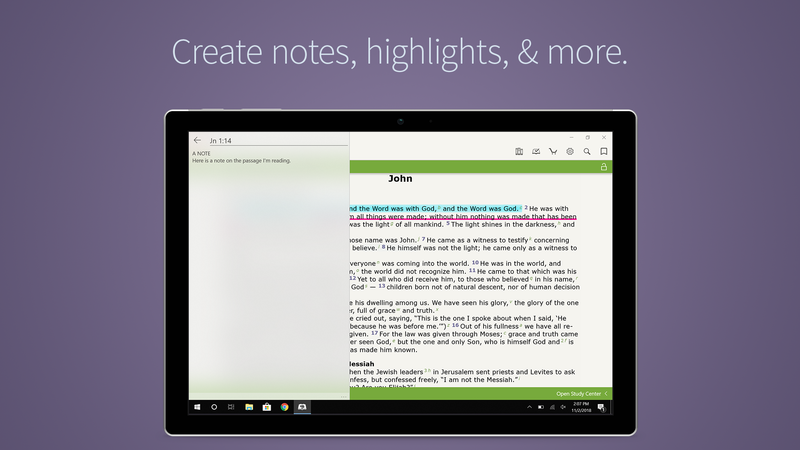 Your highlights, notes, and resources sync between all your devices. If you’re wondering about our different English translations, this app comes with NIV, ESV, KJV, NKJV and more (available in-app). Speak a different language? No problem! We have Bibles in Spanish, Portuguese, Chinese, French, and others. 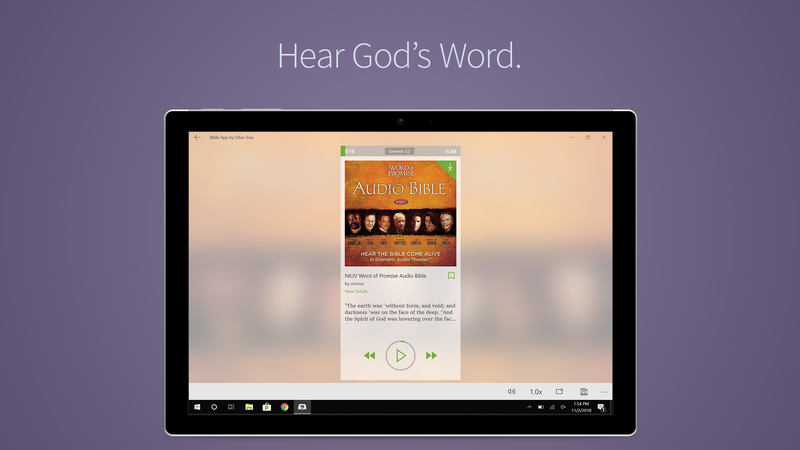 Our passion is inspiring you to connect with God and His Word through technology. 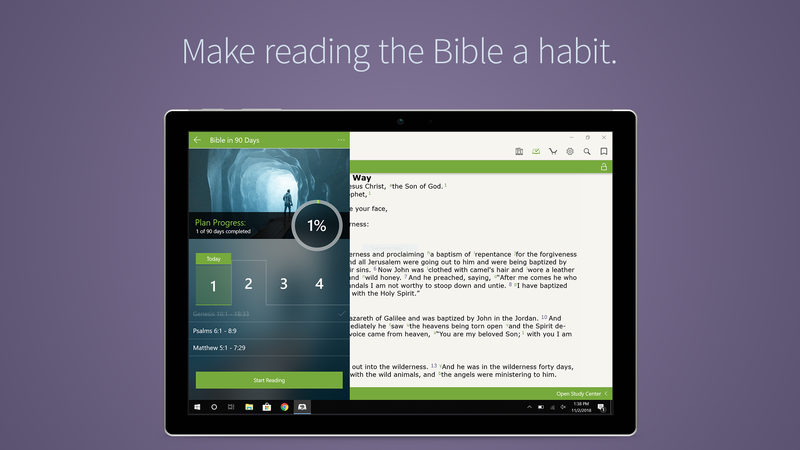 Not only is this a free Bible app, but we also have 100s of free resources—all day, every day. You can access these in our in-app store. There’s no need to spend lots of money on paper resources that sit on a shelf. By investing in digital resources, you will be able to get the answers you need wherever you are—even offline. 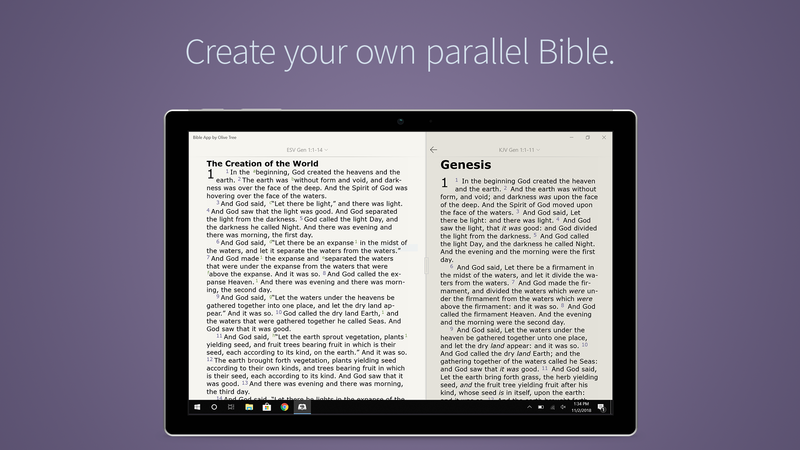 Stop flipping pages aimlessly and get Bible study tools that do the hardest work for you! 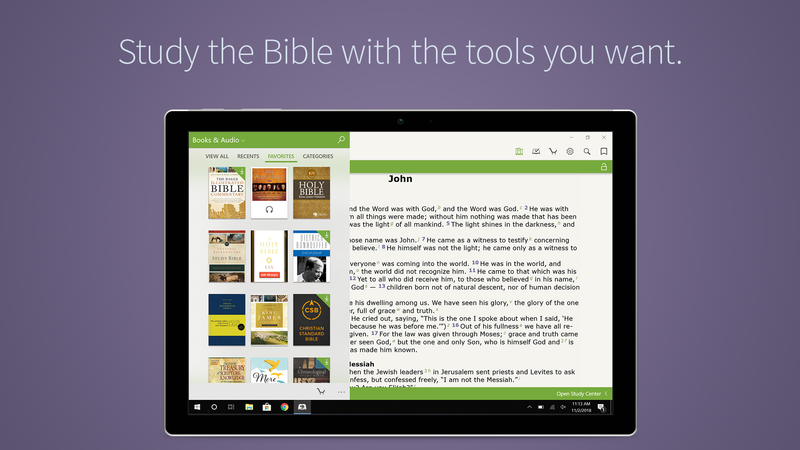 In our app, we have all your favorite Bible study tools and resources available for purchase. So what are you waiting for? Download our free app now.